1. Monday, Feb. 11, 2019: 2-3:30 pm PST (4-5:30 pm CST, 5-6:30 pm EST): No show for today as we begin to transition to the end of regularly scheduled Monday programs. 2. Tuesday, Feb. 12, 2019: 7-8:30 pm PST (9-10:30 pm CST, 10-11:30 pm EST): We welcome back Matt Bille to discuss the use of small satellites for whale science, tracking and conservation. 3. Wednesday, Feb. 13 2019: Hotel Mars. See Upcoming Show Menu and the website newsletter for details. Hotel Mars is pre-recorded by John Batchelor. It is archived on The Space Show site after John posts it on his website. 4. Friday, Feb. 15, 2019: 9:30-11 am PST (11:30 am – 1 pm CST, 12:30-2 pm EST): We welcome Dr. William Dawson of Lawrence-Livermore National Laboratory (LLNL) to discuss dark energy, dark matter and more. 5. Sunday, Feb. 17 2019: 12-1:30 pm PST (3-4:30 pm EST, 2-3:30 pm CST): No show today as part of the Washington Birthday National Holiday weekend. 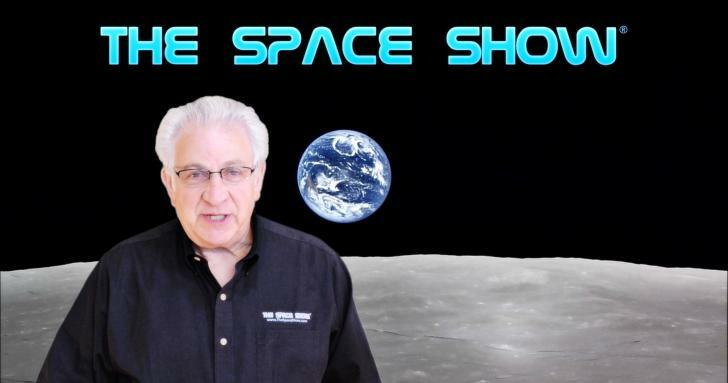 ** Fri, 02/08/2019 – Mark Whittington discussed recent “space news, space policy, lunar return, launches and rocketry, Apollo history, SpaceX, Blue Origin, Elon Musk, Starship, BFR and much more”. ** Tue, 02/05/2019 – Robert Zimmerman spoke about “record launch activity, FH, F9, heavy lift, Geo satellite market, cubesat constellations, NASA, commercial crew, space politics, and more”.